KNOXVILLE, Tenn. – Jordan Bone recorded the first double-double of his career to lead No. 3 Tennessee to an 83-70 win over Samford in Thompson-Boling Arena. The junior finished the game with a career-high 24 points and 11 assists. It marked the first time since Nov. 16, 2011, that a Tennessee player has had 11 or more assists in a game. Tennessee (9-1) attacked the post all night long, as a season-high 52 points in the paint paced the Vols to a 13-point victory over Samford (10-3). UT outscored the Bulldogs by 30 points in the paint as the Vols shot a season-high 57.9 percent from the field. Yves Pons led the way on the boards for Tennessee, grabbing a career-high nine rebounds to go along with four points and four assists. Both of Pons’ buckets were dunks, as the Vols rocked the rim six times Wednesday night, including five in the first half. Taking a nine-point edge into the second half, Tennessee quickly pushed the lead to double digits. Backed by 60.7 percent shooting, the Vols stretched the lead to as much as 20 points with just over two minutes to play in the game. Admiral Schofield totaled 18 points, seven rebounds and two assists while Grant Williams added 16 points, five boards and two assists. 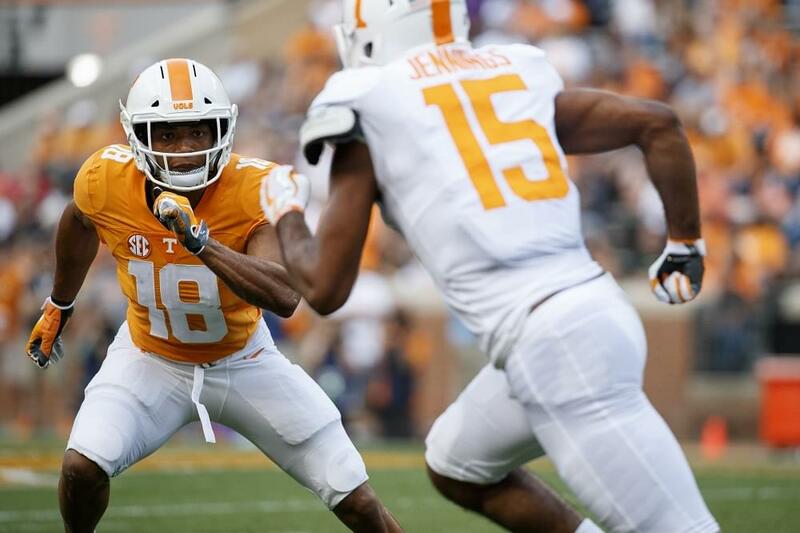 Before the Vols put away the game, the first half was a back-and-forth affair. After not scoring on their first two possessions of the game, the Vols scored the next five times they had the ball, going on a 10-2 run. Pons capped off the run with an emphatic two-handed jam off an alley-oop pass from Bowden, giving Tennessee a 10-7 edge over the Bulldogs. The Vols continued to attack the rim, as seven of their first nine made baskets came by way of a dunk or layup. It helped open up the perimeter, as a Bone triple at the 5:53 mark of the first half helped spark a 16-0 run. The Vols scored on six consecutive possessions including four 3-pointers, turning a seven-point deficit into a 37-28 with 1:34 to play in the half. A runner at the buzzer gave Bone 16 points in the first 20 minutes, one point shy of his career-high for points in a half. It helped Tennessee take a 41-32 edge into the locker room. It marked the sixth time this season UT has scored 40-plus points in the first half, a feat the Vols accomplished nine times all of last season. POINT-BLANK RANGE: Through 10 games this season, Tennessee has a +100-point advantage in points in the paint. UT netted a season-best 52 points in the paint Wednesday, including 10 layups and six dunks. BLOCK THIS WAY: With a blocked shot late in the second half, Kyle Alexander moved into the top five on Tennessee’s all-time blocks list. The senior is now tied with Isiah Victor (1997-2001) for fifth in program history with 140 career blocked shots. 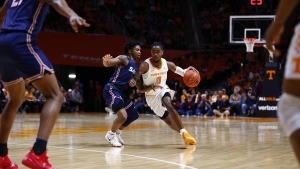 DISHING IT OUT: Tennessee registered 22 assists on 33 made baskets as a team against Samford — a 66 percent assist rate. The performance marked the eighth game this season that the Vols have recorded at least 20 assists (average of 21.2 per game). HOME COOKING: Through six homes games, Tennessee has outscored its opponents by 149 combined points, winning every game by double-digits. The Vols average scoring margin through a half-a-dozen games in Thompson-Boling is 24.83 points. UP NEXT: The Vols continue their four-game homestand with Wake Forest on Saturday at noon ET. That game will air on ESPN2.